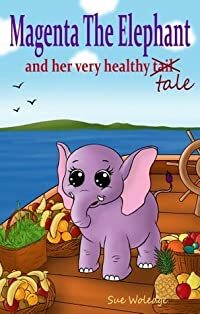 Magenta The Elephant teaches the people of Mt Snifference to eat a healthy diet. Let Magenta teach your children through this rhyming picture book about the value of eating 'real' food instead of processed, fast foods. Through this story, your child will receive seeds of understanding and knowledge about how eating healthy foods will impact their health, making them healthier as well as looking better and feeling happier.